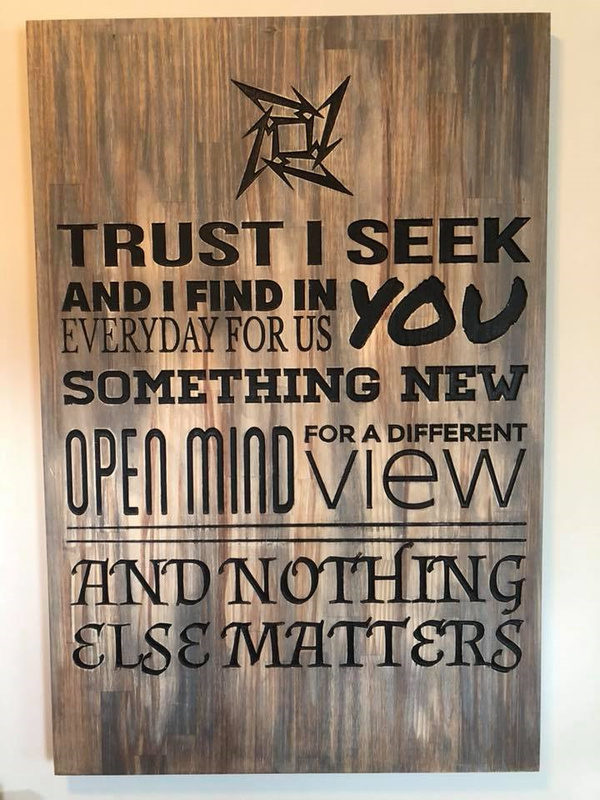 figured i would start a thread to share some of my projects. Your WV is awesome!!! Is the wv glued on top or sticking out inlay? Sean… Photos hide flaws. ha ha ha… but thank you. I am having a blast. Ha. You think your cat has it made, I have lived with my Girlfriend for seven years even though I own my own house, her cats have more space in this 3500 sqft home than I do. I have a nightstand, 1/4 of a closet and 1/4 of a California King, and no I’m not exaggerating. Her cats are treated like Royalty. I have a nightstand, 1/4 of a closet and 1/4 of a California King, and no I’m not exaggerating. Her cats are treated like Royalty. Exactly the same way here. Our chihuahua gets the same amount of the bed that I do. (My GF went out of town last night and I was still restricted to my 1/4 edge of the bed.) The Chihuahua and the cats don’t get along. So we have to lock the bedroom door at night otherwise we would get no sleep from all of the commotion. We have to lock the door because One of the cats insists on having every door in the house open and if we don’t open the door for him, he will just do it himself. He is an escape artist. We had to put special locks on a sliding glass door just to keep him from getting out, Yes he (less than ten pound cat) can open a locked sliding glass door and the screen door. Kinda spooky to leave the house only to come back with every door standing wide open. When we have company over they see the strange locking mechanisms and the electronic power locks and they give us a funny look, like “Are you a little paranoid, or what?” And we tell em, It’s bc of the , and they get a chuckle and say Whatever. Then a few minutes later we catch them cracking up “ You weren’t Kidding! !” It’s the darndest thing to see. ohhh look here… cut so deep that you can see through the wood. So the cause… a wire for the Z broke at the gantry so it could go down but not up. it is from the x movement at the Z box. Looks like I need to work on some wire management before continuing. 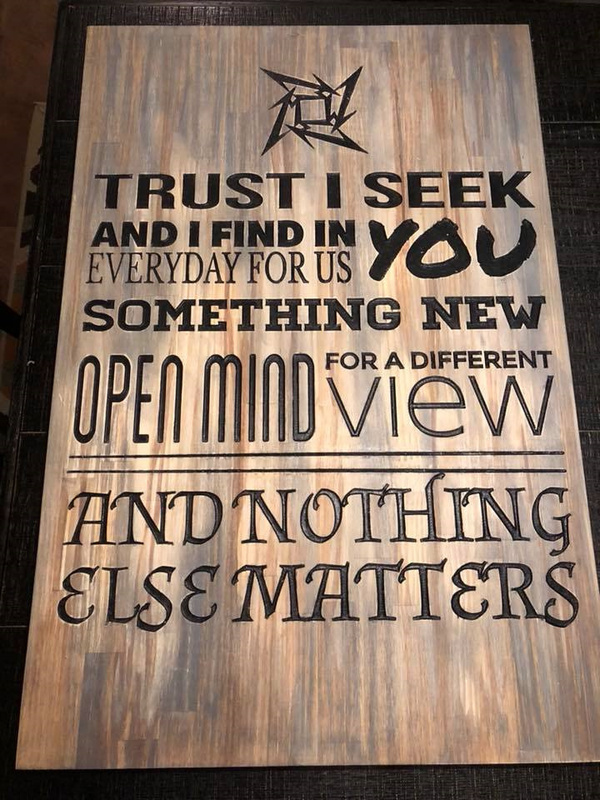 latest project I am working on… for the wife for Valentines Day. 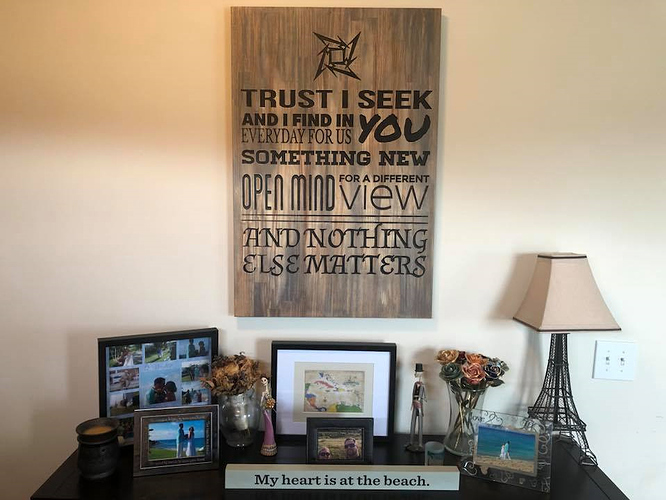 its 24 x 36 pre-made pine board from Lowes. 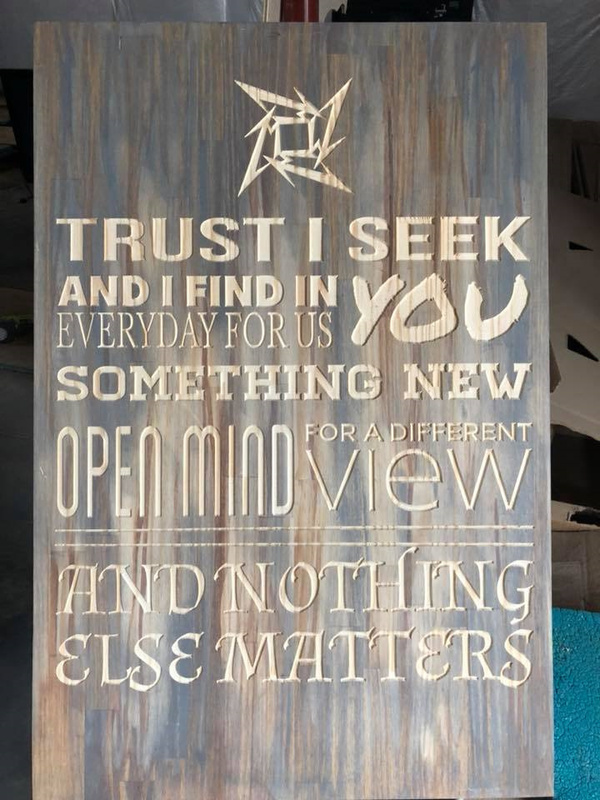 stained with a weathered grey and cherry to give a distressed look. 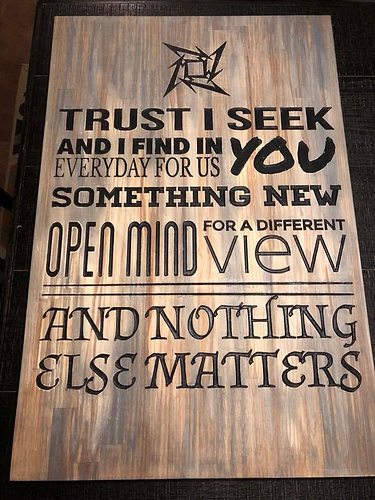 not sure if the letters are going to go black or not. Oh almost forgot… all done with Easel. cleared out most of it with a 1/8" downcut, then came back with a 90 degree v bit for the detail pass. Only cut in .06". Speaking of Easel… there had been much discussion on wasted movements. When I was watching it carve I was watching where some of the “waste” was coming from. Some is from inside corners. midway through a letter, lets say the ‘E’ on SOMETHING, it will go to every inside corner and make what looks like a triangle (it is really small and tight when it does the movement) then it goes back and does the angles for the corners. in reality it could just do the final bit and skip the triangle movements. the rest looks to be from when it traces the letter several times while not cutting anything. That crooked switch plate is giving me OCD twitches. 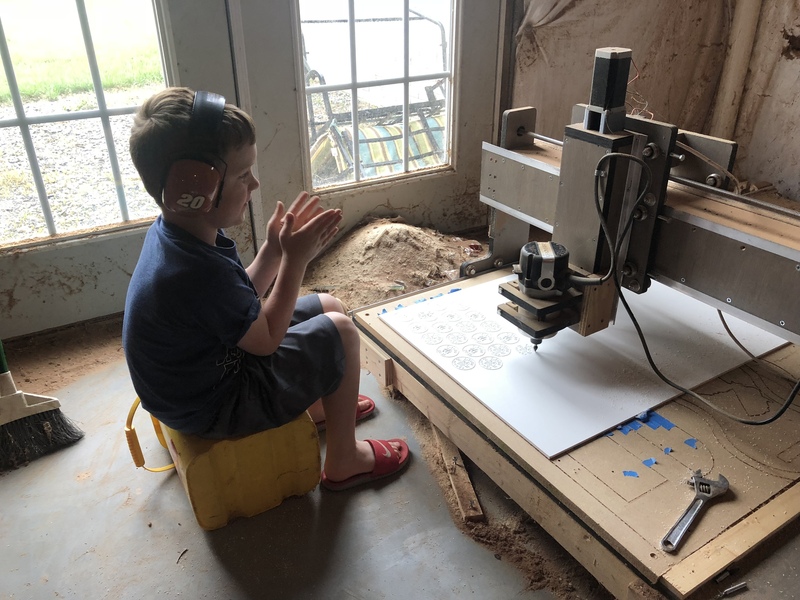 So somewhat recently there was a thread about kids in the workshop… well couldn’t find the thread so I wanted to add mine here. This is my boy watching some “coins” being cut. We designed them for his Scouts Blue and Gold Banquet. The theme was Pirates so we did gold pvc coins with pirate ships and skulls on them. 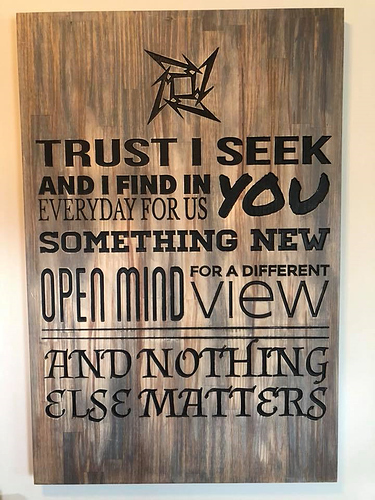 Turned out alright for a quick project. Anyways yes it is a dirty mess. Been a while since I showed any projects in this thread… so here is one. 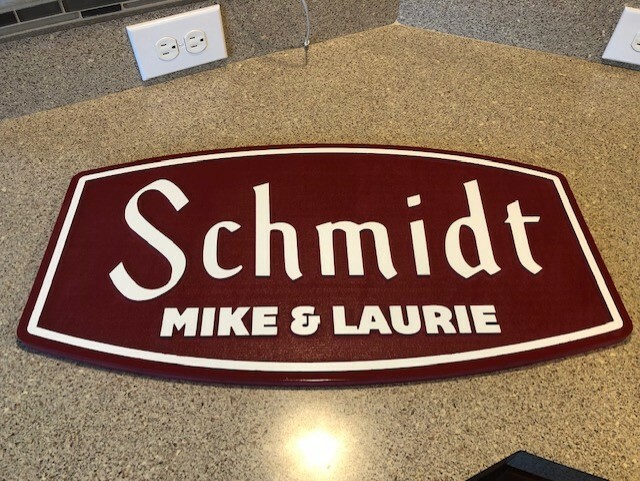 PVC sign… it is a take on a Schmidt Beer sign that I converted for Mike and Laurie Schmidt. Were did you get your Santa file from? Great projects! and here is a link to a horrible video I did for it.